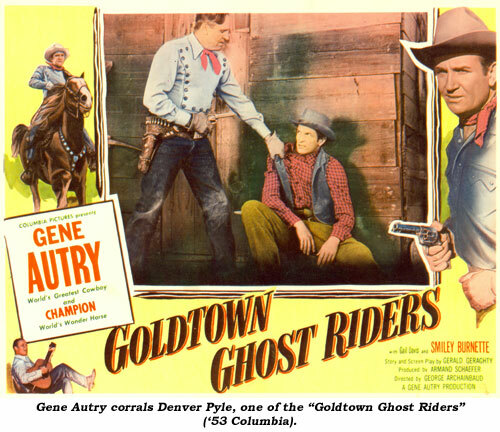 Denver Pyle started out as a Western badman in the B’s of “Rocky” Lane, Gene Autry, Tim Holt and others in the late ‘40s, then easily slipped into the rapidly expanding band of juvenile oriented TV Westerns, appearing more than frequently on “Roy Rogers”, “Gene Autry”, “Range Rider”, “Kit Carson”, “Annie Oakley” and others. 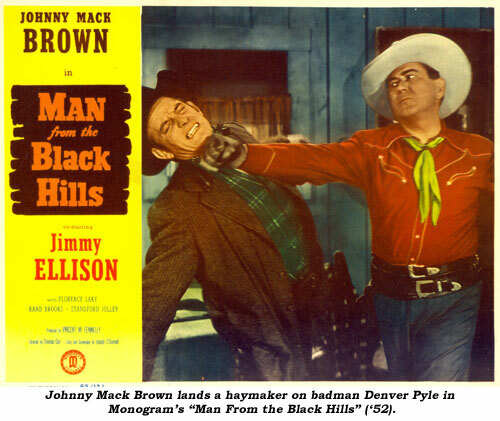 Prematurely gray (a family trait), he became a familiar player on “Gunsmoke”, “Bonanza”, “Have Gun Will Travel”, “Zane Grey Theatre” and dozens more, still playing occasional badmen, but slowly slipping into more character oriented roles. 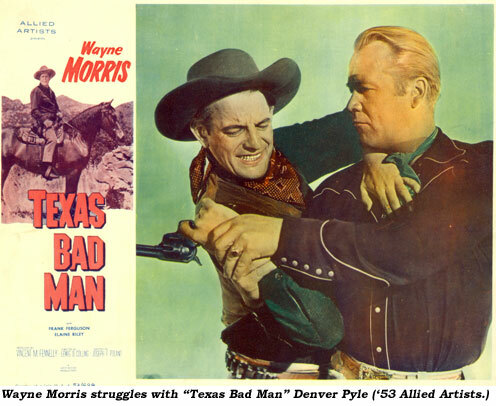 Pyle’s more important movie and TV roles came late in his career. One of his most memorable film roles was in “Bonnie and Clyde” (‘67) as Sheriff Frank Hamer, the handcuffed hostage of the outlaw duo who spits in Faye Dunaway’s face after she coyly poses with him for the camera. Duke to the good-ol’-boy “Dukes of Hazzard” from ‘79-‘85. 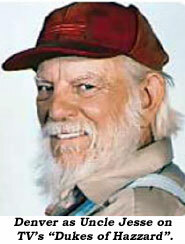 The crotchety hillbilly/mountain man with a full beard types he played on the latter two series fit him well, and he brought that presence to many other films (“Escape To Witch Mountain”, “Winterhawk”, “Adventures of Frontier Fremont”, “Wind In the Wire” etc.) and TV series. By now, his brother was working for Disney and his sister was at Benton and Bowles Advertising Agency in Hollywood. After working in the oil fields of Oklahoma and Texas for a couple of years, he decided to visit his siblings in California where he ended up getting a job as a page boy at NBC during the daytime while he worked at Lockheed as a riveter at night when WWII started. Through the Merchant Marines he was able to enlist in the Navy. He was given a medical discharge in 1942 after receiving wounds at Guadalcanal. Through a friend, actor Sidney Gordon, Denver was coaxed into auditioning for a play. He began to study acting and was overjoyed when noted actress and coach Maria Ouspenskaya requested him personally to study with her. To pay his tuition he built sets and helped around the American Rep Theatre. Through a play, Michael Chekhov asked Denver to join a group he was coaching (Marc Lawrence, John Dehner, Akim Tamiroff, Bill Phipps, others). In six years of intensive study Denver overcame his wanderlust and found his calling. Over this time he did plays at the Glendale Center Theatre, The Actor’s Lab and other little theatres while he earned his keep waiting on tables and selling hearing aids. 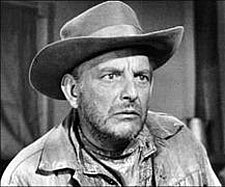 It took Denver til about 1955 when he was outlaw Ben Thompson on “Wyatt Earp” to get established as a full time actor. 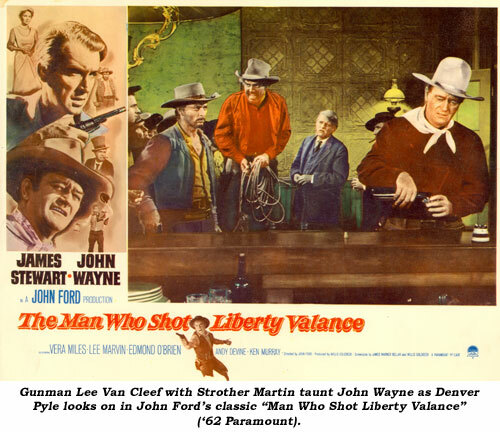 Over the years Pyle received many honors…John Wayne (with whom he worked frequently) became impressed with his photography and designated Pyle as the official set photographer for “The Alamo”. Cumberland College in the Appalachians honored him for his continuous contributions to their scholarship fund. He received a Golden Boot Award in ‘84 and a star on the Hollywood Walk of Fame just two weeks before his death at 77 in Burbank from lung cancer on December 25, 1997.